When the legendary king of the turntable, DJ Premier, and the microphone lyrical-spitter, Royce Da 5’9” formed the duo PRhyme, hip hop was reborn. As trendsetters, the two geniuses that are masters of their artistry keep the real hip hop alive while conveying the original elements of their craft regarding a genre that has become global and meaningful to many. PRhyme did not compromise or conform to the mainstream sound of the masses. They set the bar high and took responsibility as artist, expressing true hip hop at its essence. PRhyme recently released their new album that features some of the hottest recording artists of today, such as, Common, Jay Electronica, Ab-Soul, Schoolboy Q and Dwele, just to name several. I was honored to have interviewed an influential music pioneer of our time, DJ Premier a.k.a. Preem or Premo, who makes up one half of the duo PRhyme. We were able to talk about the behind scenes of some of the dopest tracks on the album, the recording process, the chemistry that took place to formulate PRhyme and much more. Hip hop heads, welcome DJ Premier! Aaron Robinson: Hey Premier! How are you doing? DJ Premier: I’m great, I’m great! Aaron: Thanks for taking out the time to do this interview with me. DJ Premier: Not a problem. Aaron: I want to discuss 5 songs, and then I am going to ask you some more questions afterwards. The first one is how did the concept or idea of “U Looz” come about? What was the recording process like? DJ Premier: Well, to be honest, that was the second track that we actually recorded. The first track that we recorded was “PRhyme” but it was spelled P…r…i...m...e. The second track that I gave to Royce to mess with was the “U Looz” track. He said, “I will do a verse that I just wrote and if I’m not able to come up with anything else, then we can come back to it.” I was like, “Let’s record it and see what it sounds like.” When he recorded it, he said, “This goes out to all the real hip hop niggas who will never ever, ever, ever ask me if I am here to replace Guru.” That’s when I stopped. I was like, “That’s it!” He goes “Yeah, I really can’t think of anything that comes after that. I was like, “Word, that’s how you feel?” Because when talking to my homies in Brooklyn who talk like that they always say that’s how you feel, that’s how you feel? So when I said that, I went into the booth and laid that down. Then he asked to come in the booth with me, and then just started bugging out. He said, “A man, you know we need some scratches at the end.” When “U Looz” was done, that’s when I really got back into my groove. Royce was like “Maybe this can be an interlude.” I was like, “Nooooo! I want that on there!” That’s when we started to campaign to let people know that we was going to be dropping something. “U Looz” was sort of kind of an advertiser but enough for it to let people know that we’re about to do something and it worked. Aaron: How did the concept or idea of “Wishing” featuring Common come about? What was the recording process like and why did you choose Common to be featured on the album? DJ Premier: First of all, when I found the part of the sample in Adrian Younge’s catalog that I wanted to hook up, Royce said, “Yo, I like this sample that you’re playing but why don’t you make it go real fast.” I was like, “Naw man, I can’t make it go fast, it’s going to take away from the vibe of it.” And he goes “Yeah, I want it real fast as fast as you can really do it where it doesn’t lose its edge.” And I was like, “Still, what if I can just make it sound better or maybe I can cut the original sample off the turn table live and then after a certain point we speed it up?” He said, “Alright, I’m gonna write it that way.” So he wrote it that way. We were going to get Black Thought on it from The Roots. Black Thought recorded it on his tour bus when they were out on the road. Around this time, The Roots manager Richard Nicholas died. When he died I reached out to Thought…not right away, I gave it some time and gave my condolence. He said, “Yo Premo, I really would like for The Roots to lay this song.” He did a rough and gave us his rough of an idea of what he was going to do. He said, “I’ll come in a couple weeks and lay a little bit and bits of pieces with the proper chords. I just want to be sure ya’ll like what I said.” Then it got to that point where he said, “I can’t think about rapping right now, I’m too hurt.” And I understood. I said, “We gotta get someone on that level that would fit it.” So we reached out to Rashid (Common). He said, “Yo, I’m down. I really like the slow part better. Can I just do that part instead of the fast part?” I was like, “Yo, perfect!” We sent it [the track] right to him and he sent it right back. Aaron: How did the concept or idea of “To Me, To You” featuring Jay Electronica come about? What was the recording process like and why did you choose Jay Electronica to be featured on the album? DJ Premier: To be honest, I didn’t know any of the artists was going to be on the album except for Common and that was on the situation that happened to Black Thought. By the way, we are coming out with a deluxe PRhyme album so it will have 5 new songs on it. Black Thought came through last week to spit a newer verse. That’s because we wanted to do versions with Black Thought on it, so we got him. In regards to Jay Electronica, Royce said, “I wanted to surprise you, and guess who I got to spit on your beats?” Even if he was out in New York with me and then went back home, I didn’t know that he was calling people saying, “Hey Mac Miller, Ab-Soul Schoolboy and Jay Electronica I want you on the album!” I had no clue ‘til he was like, “Hey yo, I’m sending you another verse.” I was like “Oh’ check him out! Get the f--k out of here!” So that’s how that came together. Aaron: How did the concept or idea of “Underground Kings” featuring Schoolboy Q and Killer Mike come about? What was the recording process like and why did you choose Schoolboy Q and Killer Mike to be featured on the album? DJ Premier: The same thing, I didn’t know that they were going to be on it. Schoolboy actually did verses on it prior when we were wrapping up the album. Royce had seen an interview that Killer Mike had just done. He liked it so much that he commented on it on Twitter. That had made Killer Mike respond. He was like, “Yo man, I know you didn’t close out this joint that everybody had turned in?” He got on it and sent it right back. We said, “Boom! We got Killer Mike.” Killer Mike was on the last song of the album. Aaron: How did the concept or idea of “Microphone Preem” featuring Slaughterhouse come about? DJ Premier: “Micro Preem”, well we wanted to have a song out written on that theory. We had just did the video for “Y’all Ready Know”, on the ShadyXV album…the double album that Eminem just dropped. While we were together we was like let’s go in the booth and do one more and we did that one. Aaron: How did the name of the group come about? Aaron: Which song would you say is the most impactful on the album and why? 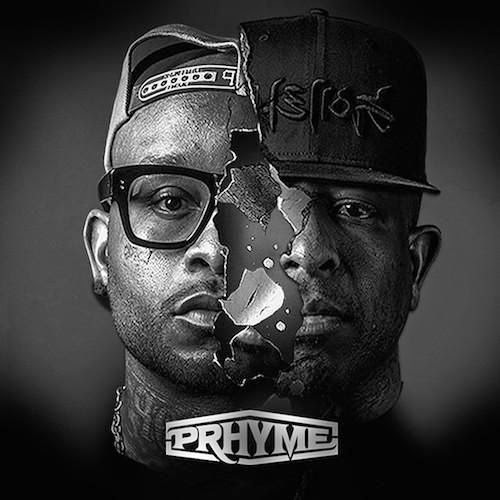 DJ Premier: For me, I would say “PRhyme”. For once, it was so impactful just to call ourselves that. That was a big deal. “U Looz” is my favorite. I just love the way that beat is. “You Should Know” [feat. Dwele] is my jam and “Microphone Preem.” Those are my top 4 of PRhyme. Aaron: What made Premier and Royce come together to produce this EP? DJ Premier: It was just an idea that was brought to us by Mike Heron who works with Shady Records. He brought the idea to us about doing the EP. The only catch was that we had to sample only Adrian Younge’s music. I was not into that idea at first because I like to dig in the crates and find really obscured samples when it comes to creating tracks. The challenge was, I never did anything like this before, so why not do it. Next thing you know, I met Adrian. We kicked it and we took it to the level of…he gave me his entire catalog. He just let me take whatever I wanted and didn’t give me any direction. He gave me his Black Dynamic and Delphonics album. He gave me Something about April and the Ghostface Killah album. The Ghostface album I didn’t tamper with. I felt that was a little out of the league of manipulating because I felt that it would be kind of disturbing to Ghost to take his beats from his own album and just really smash the Premier way. So that one, I just left it alone. [With Adrian’s catalog], I’ll just find parts that are worthy to me where I can flip them and do it the Premier way. Aaron: How many songs were actually made for the album? DJ Premier: It was suppose to be a five song EP, the album - the original goal. Once we got to the first 5, Royce was like, “Yo, why don’t we do another one?” And that turned into another one, then another one and another one. It exceeded; now we got nine songs. So he was like, “Homie, let’s put out an album.” I was like, “Okay.” That’s what we did. [As I mentioned earlier] the deluxe is going to feature 5 new songs, two that would be straight up Royce and myself rocking out. We will have one with MF Doom, one with Logic and the remix to Black Thought. Aaron: Premier, I heard that there’s a rumor of a Nas album in the works. Can you tell me a little about that? DJ Premier: As far as Nas, that’s something that we talked about for a long time, but we never got to the point of doing it because he still was under contract with Def Jam. It’s really up to Nas to say, “Hey I’m ready to do this.” So, in the meantime it’s no rush. We already have a nice vibe with each other where whenever we go to the studio, just like Royce, we click. I’m just ready whenever he says go. When we deal with PRhyme we used everything out of our own pocket. We got some marketing dollars for beginning moves. The next thing you know we were on and popping. The album is doing well. Aaron: I heard also that there’s a rumor of a Pete Rock album. Can you tell me a little about that? DJ Premier: A shout out to Pete Rock! The Pete Rock project is something that we talked about a few years back. Actually, we still sell our merch, my website is called www.premierwuzhere.com. We support one another’s merch, even though we haven’t recorded any songs yet, because our schedule has been crazy and all of that. You know, I’m touring right now with Slum Village and I’m out with PRhyme. Pete Rock and I are all going to be working on some material. Half would be recorded by him another half would be produced by me. Aaron: Would you like to add anything else before we end the interview Premier? DJ Premier: Definitely come check us out on the PRhyme tour; it’s really hefty. We definitely pull off some fun stuff. We do Slaughterhouse stuff, Royce the 5’9” classics, and PRhyme stuff. I do a DJ Premier set, the intermission and mess around with the fans and audience. We got Boldy James opening up and Your Old Droog and DJ Skizz rocking out to warm it up for us. It’s a good show. Aaron: Thanks for the interview Premier. It’s an honor, it’s an honor…it’s an honor! For real! Love you bro! DJ Premier: Thank you! I appreciate that brother and all the love to you.